Copper prices climbed due to spot shortages: Copper prices rose more than 1% on Thursday as investors bet on the biggest copper consumer China's imports improved, and Chile's data showed that copper production in April fell year-on-year, affected by strikes and production problems. Chile is the world's largest copper producer. The London Metal Exchange (LME) three-month copper closed up about 1% at $7,320 a tonne, reversing Wednesday's decline. Macro focus : The most fundamental reason for the current dollar's rise is that investors bet on the procyclical investment of US economic growth, that is, the US dollar reflects the growth characteristics, rather than the upward trend of the US dollar due to safe-haven demand in previous crises. Therefore, the continuation of the future growth of the US dollar depends on the sustainability of the US economic improvement and the subsequent adjustment of monetary policy. It is expected that QE exit is an important factor affecting the trend of the US dollar. However, the US economic growth process is better than Europe and Japan, which is the decisive key. Even if QE does not leave, the general trend of dollar buying will not stop. From a technical point of view, the dollar's fall on Thursday is only a correction in the upward trend. If the US dollar index rises above the 86.00 level, it will rise to 92.00. Domestic copper spot market : Shanghai spot copper was reported at 52,800-53,400 yuan/ton yesterday, down 550 yuan/ton, and premium 200-liter water was 400 yuan/ton. As the world's second-largest copper mine, the Grasberg mine in Indonesia, is about to resume production, and the uncertainty of the global economic growth prospects has widened, copper prices have been under pressure and copper prices have fallen on Wednesday. However, the signs in the spot market are still positive. Some analysts said that the current global copper market is still tight. Shanghai copper volatility is lower, the short-term market mentality may be affected, although some users still maintain normal receiving, but many downstream demand performance is still weak, in addition, it is understood that the holders are reluctant to sell on dips, but the copper price premium has overall The narrowing, some of them are not too strong, so it also restricts part of the transaction volume. Yesterday, Pingshui copper was offered at a premium of 250 yuan/ton, and most of the premium copper was between 300-liters of water and 400 yuan/ton. Operation strategy : Shanghai copper wide fluctuations yesterday, Shanghai copper 1309 contract fell 200 yuan, a drop of 0.38%; overnight copper led to rebound, up 0.22%. On the fundamentals, the copper premium of the Shanghai Bonded Warehouse is up to $150, which is a sign of improved metal demand and some support for copper prices. Some of China's largest copper smelters have recently closed some branches, due to a shortage of scrap copper supply, which has reduced copper production in the area. The Chilean government said that Chile's copper output in April fell by 1.2% from the same period of the previous year, affected by factors such as strikes and production line problems. Rosen Glenn, president of the Boston Fed, said on Wednesday that after the job market and economic conditions continue to improve in the coming months, the Fed may "smallly" reduce the size of debt purchases. Uncertainty about when the Fed changed its monetary policy weakened the dollar against a basket of currencies. Technically, Luneng Copper hit a minimum of $6,762. The current market is trading in a narrow range, with short-term bullish thinking and attention to risk control. Bbq Accessory as BBQ Auxiliary gadgets for Barbecue, it stands a important part of their working. The gadgets including: Electronic thermometer, Seasoning bottle, Silicone heat insulation gloves, Silicone Brush, multitools and so on. 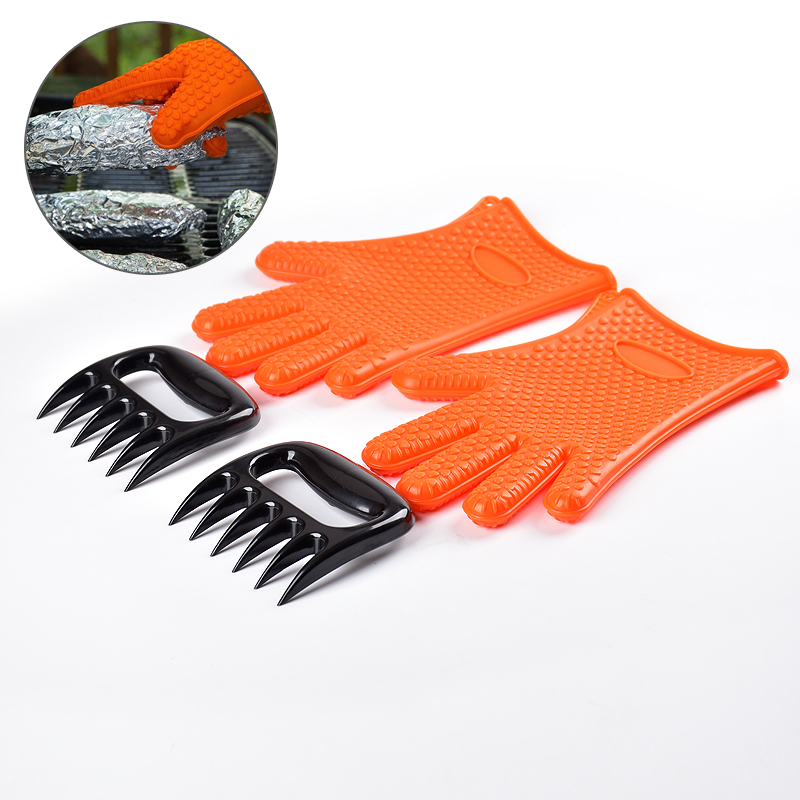 Using this kind of Barbecue Utensils, could make your barbecue grilling ventures more success, Such as the gloves is the better heat protection tools to be able to withstand high temperatures when you using the claws to separate the steak.